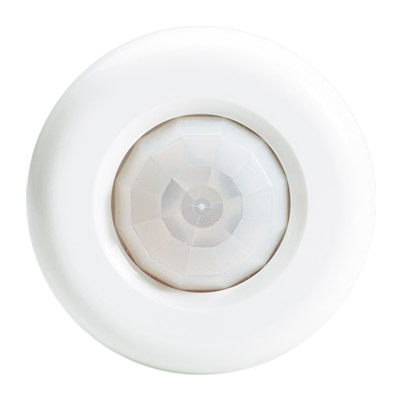 The C-Bus Infrascan is designed to conveniently turn lights on automatically when movement is detected, and turn off after a pre-set period of time. Indoor Infrascans are suitable for open plan areas, single rooms, offices, laundries, toilets, walk-in robes, hallways and pantries. 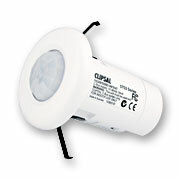 The 5753L is a C-Bus Passive Infrared (PIR) Occupancy Sensor, 360 degree, flush, ceiling mount suitable for indoor use. It features a light threshold adjustment on the unit. The time delay is programmable in the range 1 second to 18 hours. Features a Sunset Switch program. Powered from C-Bus. Please note: C-Bus, depending on the installation design can provide an energy efficient solution.